PRODUCTION: This SINGLE VINEYARD Lagrein grows in the valley floor around the VILLA KARNEID, in Salorno one of the most traditional grape growing towns of Alto Adige. The favorable location of the vineyard, the ideal sunshine, and the good ventilation of the berries assures excellent quality of the grapes of this variety. VINEYARDS: Due to the lower altitude of the vineyards in this production area and the warm alluvial soils, the grapes reach ripeness earlier than on the higher slopes. As a late-ripening variety, Lagrein requires this paticular mesoclimate to reach full ripening. VINIFICATION: The grapes of the Lagrein Villa Karneid Castelfeder are destemmed and fermented at a constant temperature of 26-28° C for about 10 days in stainless steel tanks. During fermentation in stainless steel tanks the must is kept in contact with the skins through circulation pumping. In this way, we achieve ideal results with the coloring the skins and emphasize the fruityness of the wine. 50 % of this wine is aged in French oak Barriques for 12 month and bottled after a soft eggwithefining. 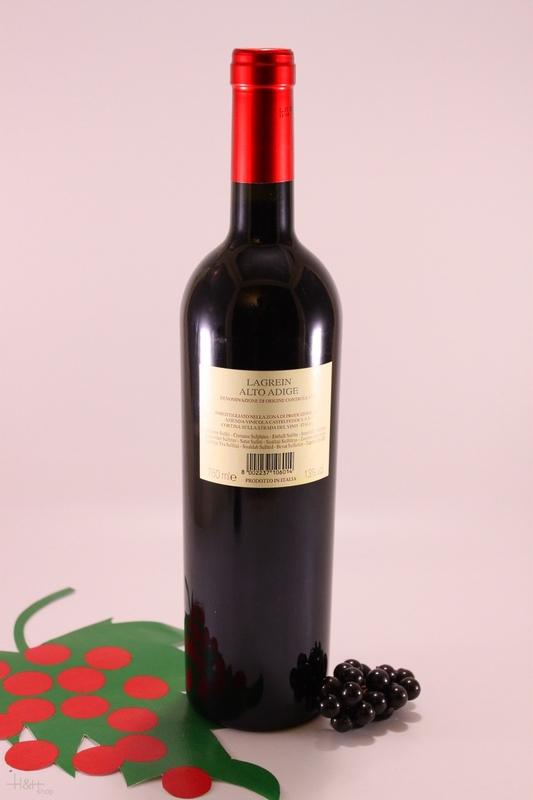 TASTING NOTES: The harmonious, soft tannins on the palate and its dark garnet red colour are the main characteristics of this indigenous red wine Lagrein Villa Karneid Castelfeder. With its intese and complex bouqet and fresh parfume of wild berries and violets, the Castelfeder Lagrein Villa Karneid is ideal for red meats and roasts. 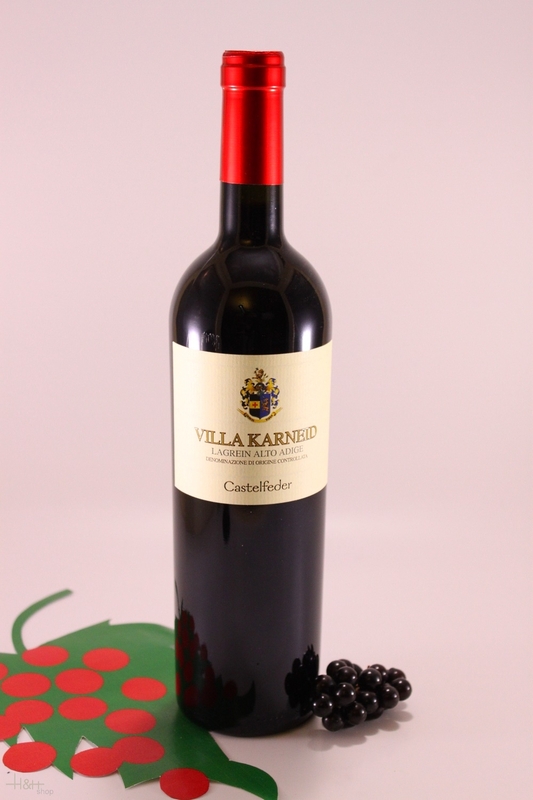 "Vinum Wine Magazine" has rated the wine "Castelfeder Villa Karneid Lagrein Alto Adige, Trentino-Alto Adige, Italy" from the vintage 2013 on 01.02.2015 with 15 of 20 points. Moscato Giallo Graf von Meran - 2017 - cantina Merano 15,35 EUR / 20,47 €/lt. Schiava Grigia Sonntaler - 2017 - Winery Kurtatsch 13,05 EUR / 17,40 €/lt. Lagrein Kretzer South Tyrol - 2016 - Rottensteiner 12,10 EUR / 16,13 €/lt.